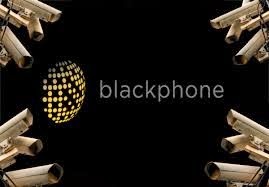 Privacy and security dedicated smartpphone maker Blackphone, today announced major update of its PrivateOS operating system. Blackphone has also announced that it will launch a new App store for its users with a single point focus on providing security and privacy. The handset maker announced on Tuesday that its customized Android operating system, PrivatOS will be given its biggest updates since the launch. The new version, PrivatOS 1.1 will include a new feature dubbed Spaces which would be similar to Samsung Knox feature. Spaces will offer Blackphone users a dedicated, private and secure container in which they can save their private files, photos and videos without the threat of leaks. Blackphone said it has build the Spaces in collaboration with Graphite Software. Blackphone said that the "Silent Space" will come pre-loaded by by default on Blackphone handsets and includes the Silent Suite of apps for encrypted communication. Blackphone's Spaces can also be used separate containers for work and play, or parents and children. You can also create dedicated Spaces container according to your personal choice or topic like travel or relaxation. Blackphone CEO, Toby Weir also announced the launch of App store at a future date. Speaking to The Inquirer, Blackphone CEO Toby Weir-Jones said he hopes the app store will encourage developers to contribute new solutions. "We're not trying to be another untrusted, third-party app store -- there's lots of those out there already," Weir-Jones said. "We're looking to provide a selective and curated assortment of privacy-focused apps. That doesn't just include password management and email encryption apps. It's those that handle user details appropriately." Weir said that, in the beginning, the App store will only offer free applications but will add paid Apps including Apps with in-App purchases at a later date.To maintain privacy and security, each and every App will have to go through a rigorous vetting process at Blackphone. Weir said that they will be particularly harsh on Apps permissions and only those Apps with required permissions will be listed on the App store. Weir cited the example of an email app, which he said would want access to a handset's microphone and camera, would not be suitable for listing at the Blackphone app store. Weir said the tentative date for launch of App store has been fixed in January, 2015.